Zedbox fully insulated garden buildings benefit from our TuSC™ construction. This unique (and protected) construction technology creates a completely integrated chassis for each building. Developed over many years, TuSC™ provides a strength, versatility and a longevity to each building well beyond standard timber frames or SIPs. The enduring popularity of our design is testament to the success of the engineering within each building. 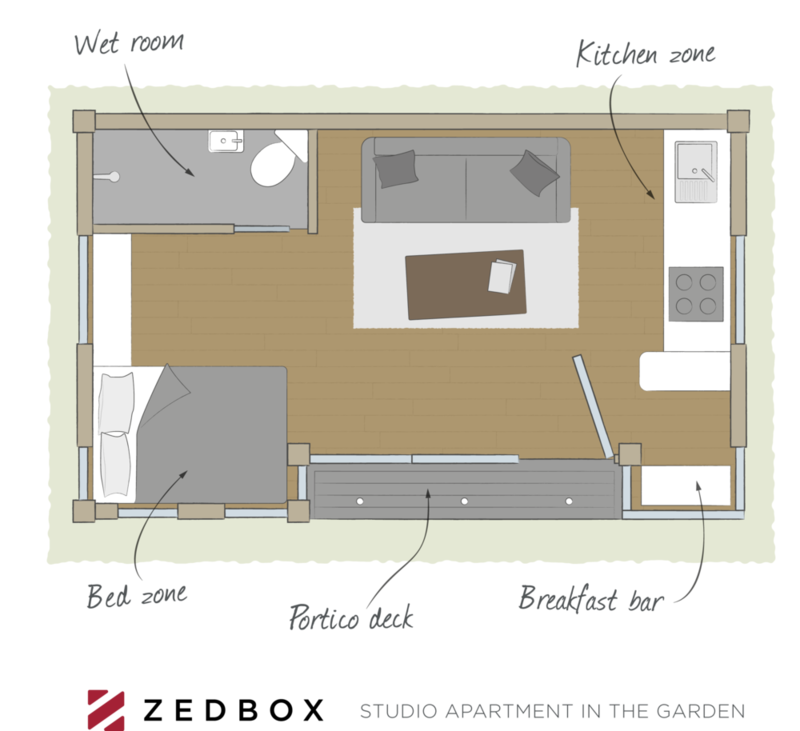 Zedbox has been purposefully designed to provide a lasting, comfortable self-contained garden annexe, that can be adapted to your needs. Fully compliant with building regulations, Zedbox is fully insulated throughout and can be personalised to fit in comfortably with your home, garden and surroundings. Zedbox can be completely personalised to your specification with our choice of fixtures and fittings, including bed, storage, wet room, kitchen and breakfast bar. With the additional choices of external lighting, under-floor heating and Optica wall you can truly make your Zedbox a home from home. The kitchen and bathroom facilities are fully installed by approved Zedbox fitters and the wide range of options available can be discussed at your free, no obligation site survey. Contact us to discuss your configuration and arrange your survey.